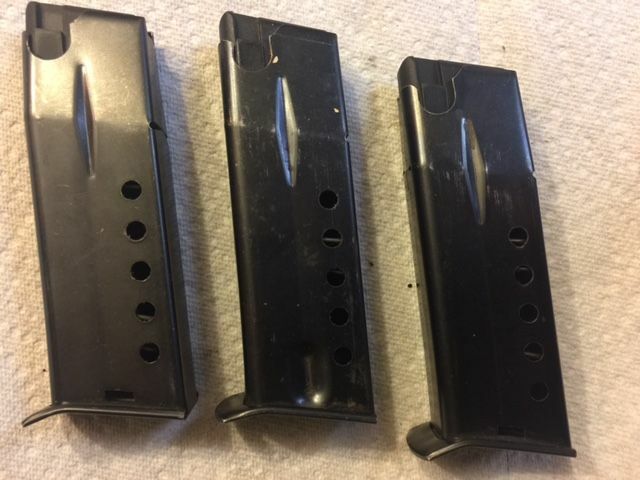 The mag in the middle is the only one that fits in the gun. The one on the left is a new JA-NINE mag that I ordered and thought would it work. Does the JA-NINE and the Jennings 9 use the same mag?? The other question is, can I make the 2 JA-NINE mags I have work in the Bryco 59? Last edited by jasonsch on Sat Oct 08, 2016 3:20 pm, edited 1 time in total. Know Guns, Know Safety, Know Peace. No Guns, No Safety, No Peace. you have to cut the hole for the european magazine catch. You can also bend the baseplate straight if you take your time. I have done a bunch this way. note.... these magazines are very flimsy so dont lay into them like you would a mecgar magazine. This particular magazine is possibly the worst magazine ever designed IMO. The springs and followers are very strange and I have never found any subsitute followers that can work inside the magazine tube which has a strange angle at the top. 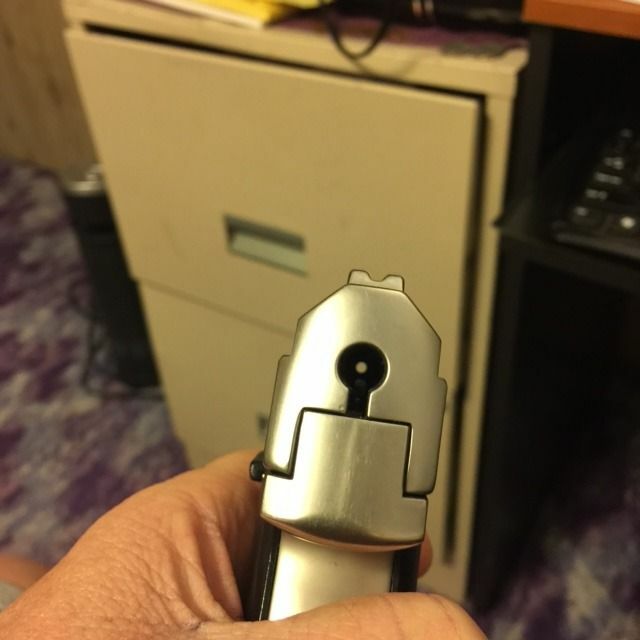 I have also never found a doublestack quality mag that could be made to fit the bryco large frame magwell. The actual guns themselves are not bad if you use very low power loads (380acp levels) and keep the springs fresh. If you shoot enough standard power 9mm through it the gun cannot handle it and it starts to break down in the areas of slides and frames (major components). The magazines feed lips tend to open up in short order creating feeding problems so you might want to get a measurement on where they should be. How you like them sights!!! LOL. That rear sight notch is something to behold..... legendary! Its the Bryco WIDE view rear sight system. I looked them over a little closer and figured it out. I can't believe i missed it!! Geez - Now I'm almost embarrassed I asked!! The 2 on the right need that slot at the bottom in order for the catch to hold them in. I work in a machine shop - I'll clamp those babies in our Bridgeport and mill that slot into them. Looks like it's .125.tall and the bottom of the slot is .125 from the bottom of the mag. It doesn't look like the width is as critical as the other 2 measurements. The 2 JA mags fit nice and they don't move side-to-side at all. When I got he new mag from Jimenez, it was a little wide front-to-back and fit really tight. I measured it and it was .020 wider than the other mags on top where it was welded in the front. I gave it an "adjustment" with my plastic hammer and it slid up in there just fine!! 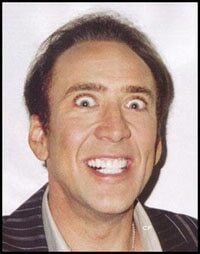 Anyway - I'll mill those slots in there one of these days - I might even post a picture or two when I do it. And I'll reload some lower pressure loads for it - I haven't actually shot this one yet, but look forward to doing so before too long. 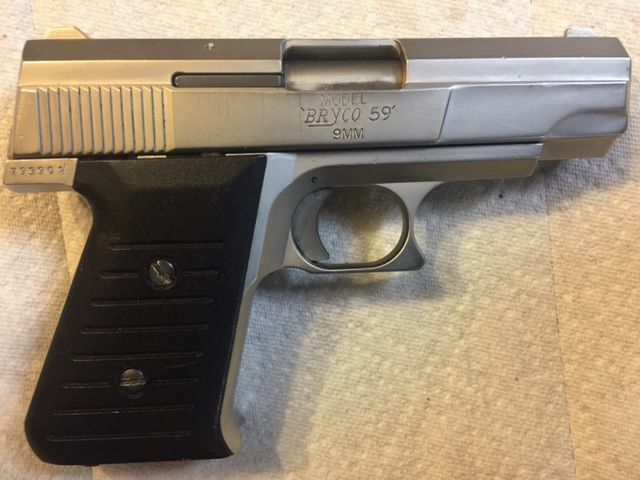 I bought this off Gunbroker a while back and it said it "wouldn't fire" in the description. It looked good - But when I got it it was missing a few things. I guess I shoulda stopped by here first and asked about it!! So I bought another "parts gun" to get the parts I needed. This was a "project" I started some time ago (a year or two??) and didn't finish. Thank You for you help David - I appreciate it very much!! the mags I picked up were inconsistent as well. I had to reshape them in a vice very gently. 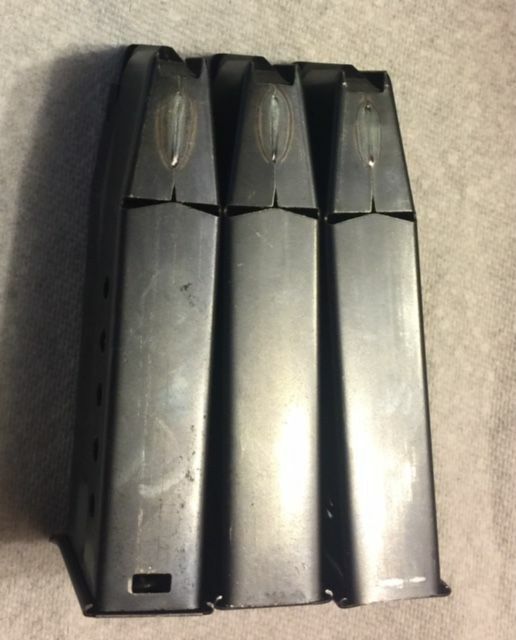 an empty mag should fall straight out with no hangups. For the catch you could probably just file the notch staight up from the bottom of the mag without problems. My mags had both cuts so I didnt have to. It would be easier than milling then. I think if you could track down some 100gr or less 9mm bullets and load to 380 the durability would hold up. Yes it there are some parts differences. The safety and rear takedown button being the biggest and tough to find. Funny enough these are better than the new versions IMO as there are way fewer parts and the gun itself is more simplified. Besides the new versions dont have the pattented wide field view rear sight that Bryco has become known for. It may not be accurate but it sure is fast! Little trick to these old striker fired autos. Paint the rear face of the takedown button neon green and the rear tip of the firing pin bright orange. Use the tip of the fireing pin as kind of a make shift red dot. The Fireing pin is centered in the bore. Makes for fast and accurate point shooting. You can even put crosshairs on it if you want. The Taurus Curve pocket auto picked up on this.